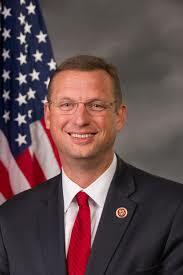 9th Congressional district Rep. Doug Collins (R-GA) spoke exclusively to FYNTV on Friday’s edition of Good Morning From the Office. Collins spoke on a multitude of issues, from the executive actions regarding Obamacare, to his personal crusade for adequate internet service and competition in rural Northeast Georgia. However, his remarks regarding tax reform were quite revealing. According to Collins, Speaker of the House Paul Ryan (R-WI) has informed House members that he will keep the House in session, if necessary, throughout the Christmas recess in order to pass tax reform. The tax question is asked around the 11:00 minute mark of the FULL INTERVIEW below. BKP: From the House side, will we get tax reform? Rep. Collins: Yes. I feel very comfortable, in fact, it is the top priority for us in leadership, and the speaker. In fact, the speaker put us on notice yesterday (Thursday) that he would keep us through Christmas or any other holiday to make sure it gets done this year. It was very disturbing to hear some members of the Senate saying “Well, we gotta negotiate, it may be the first of the year” No. It’s time to get behind the American people, time to get behind the President and pass tax reform. It’s way past due. Next Article » Dawsonville Police Department? Could Happen! 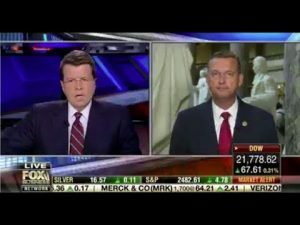 WASHINGTON—Today, Congressman Doug Collins (R-Ga.), Vice Chair of the House Republican Conference, spoke with Fox Business Network’s Neil Cavuto about the mechanics of an effective repeal of the Affordable Care Act and the need for comprehensive tax reform. WASHINGTON—Rep. Doug Collins (R-Ga.) joined the House of Representatives in voting today to extend the Children’s Health Insurance Program (CHIP) through 2022 and protect funding for rural hospitals. The Championing Healthy Kids Act, H.R. 3922, uses offsets to fund CHIP and programs like community health centers while eliminating $5 billion in scheduled cuts to Medicaid Disproportionate Share Hospitals (DSH). The bill includes a two-year extension of funding for Federally Qualified Health Centers (FQHCs), which focus on delivering health care to underserved populations through community-based and patient-centered models. “The House’s bill would extend the Children’s Health Insurance Program for five years while strengthening the program to help the children most in need of health care assistance. At the same time, it protects resources for northeast Georgia’s rural hospitals. I’m pleased that the legislation put forward by House Republicans charts a more cost effective—and therefore sustainable—path forward for serving some of Georgia’s most vulnerable populations,” said Collins. At least seven hospitals in northeast Georgia serve residents with the help of DSH funding, including Elbert Memorial Hospital, Fannin Regional Hospital, Habersham County Medical Center, Northeast Georgia Medical Center, St. Mary’s Sacred Heart Hospital, Stephens County Hospital and Union General Hospital. *The original release mistakenly included Hart County Hospital, which merged into St. Mary’s Sacred Heart Hospital, and North Georgia Medical Center, which should be Northeast Georgia Medical Center. WASHINGTON—This op ed by Rep. Doug Collins (R-Ga.) first appeared in the Gainesville Times on November 5, 2017. Last Thursday introduced Northeast Georgians to what the House, Senate and president have been collaborating on since January: A conservative tax reform bill that makes the first meaningful improvements to the tax code since 1986, when I was a student at what was then North Georgia College and an intern on Capitol Hill. Since then, time has passed and tax policy has changed, but not for the better. As pundits tackle the details of the Tax Cuts and Jobs Act, I want my neighbors to be confident knowing what conservatives are doing through tax reform and, perhaps more importantly, why we’re taking these steps. The legislation the House has introduced focuses on replacing America’s labyrinth of a tax code with a plan driven by fairness, simplicity and opportunity. The IRS has reached its tentacles deep into the pockets of American workers and families to feed a bloated federal government. I’d like to cut off those tentacles and allow everyday Americans to keep more of the money they earned by the sweat of their brows. I believe that comprehensive tax reform, specifically the Tax Cuts and Jobs Act, is the answer to our country’s economic malaise. Our friends across the aisle disagree. Why? There are two possibilities that explain why someone would oppose President Donald Trump’s call for middle-class tax reform. The person either doesn’t believe that the Tax Cuts and Jobs Act will actually bring relief to families and job creators or doesn’t think empowering working Americans represents a worthy goal. Those who claim that our tax plan pads the wallets of the wealthy at the expense of middle America already have been refuted by The Washington Post, which investigated claims that this legislation would raise taxes across the middle class. Senate Democrats tattooed their false claims all over Twitter, and even the mainstream media awarded those claims with “four Pinocchios.” In fact, a family of four earning the median annual income of $59,000 would see their tax burden drop by $1,182, from $1,582 to $400. To use another example with our community in mind, a firefighter with a $48,000 income would move from the 25 percent income tax bracket to the 12 percent bracket and see his standard deduction double from $6,350 to $12,000. Under this plan, his tax bill would fall to $3,872 from $5,173, and he could invest the $1,301 difference in building his own American dream. Meanwhile, we’ve raised the Child Tax Credit from $1,000 to $1,600 per child and included $300 credits for adult dependents. We’re getting rid of loopholes in the tax code and killing the death tax, which targets family farms and businesses with double-taxation. We’re reducing the corporate rate from an unsustainable 35 percent to 20 percent so that businesses will bring jobs back home. And I’m inviting you to fact check us. Anyone can read the text of the Tax Cuts and Jobs Act and other resources at fairandsimple.gop. If the Republican tax plan actually does deliver tax relief to middle class filers—and it does—and if it does level the global playing field to allow businesses to close up their shops across the ocean and drop deep roots into American soil, then why would anyone oppose it? Because their objection isn’t practical. It’s ideological. America’s economy remains the most productive in the world, and the American worker is the foundation of that economy. Conservatives who embrace tax reform want to ensure that hardworking Americans enjoy and invest more of what they earn because we trust them. We recognize that the American worker is industrious and innovative, and that’s what fuels our economy. Liberals, on the other hand, don’t trust their fellow Americans to make good choices. They believe we have no hope outside of bureaucrats. So their logic demands that they fight to keep control of Americans and their money. Tax reform upsets Democrats because they want to make the government bigger, and they want to use their neighbors’ paychecks to do that. President Trump and I believe that America’s greatness comes from free people making free choices in a free market. Democrats think its greatness comes from big government. They think Rep. Nancy Pelosi and Sen. Chuck Schumer hold the keys to Gainesville’s success. In reality, though, Democrats have no hope to offer northeast Georgians because they have no confidence in northeast Georgians (or in most Americans, for that matter). And while the president and Republicans in the House are working to make America stronger, to preserve our position as world leader, liberals want to apologize for what American workers have built and to undermine what their neighbors value. The last administration tried to spend and stimulate its way to economic success, and we call those eight years the Great Recession. In contrast, conservatives in the House are spending this weekend telling their constituents we recognize that America’s future depends on her workers and families, rather than on Washington. That’s why our tax reform plan insists that we make our neighbors the agents of their futures once again. We’re offering Americans tax relief today because that’s how we can build a stronger tomorrow. Doug Collins represents Georgia’s 9th District in the U.S. House of Representatives. 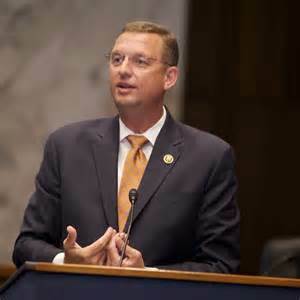 WASHINGTON—Today Rep. Doug Collins (R-Ga.) helped the House of Representatives pass H.R. 849, the Protecting Seniors’ Access to Medicare Act of 2017, legislation that would repeal an Obamacare provision that threatens seniors’ access to care. The Affordable Care Act (ACA), known as Obamacare, established the Independent Payment Advisory Board (IPAB), which can be empowered to cut Medicare spending and services without Congressional or administrative oversight. The ACA designed the board to be comprised of fifteen unelected officials, and the Protecting Seniors’ Access to Medicare Act would repeal the ACA provision that created the IPAB. “The Obama Administration’s move toward socialized medicine gave the Independent Payment Advisory Board broad power to limit access to Medicare for senior Americans. Concentrating such power in the hands of a few bureaucrats risks our neighbors’ access to care, and the Protecting Seniors’ Access to Medicare Act would correct this flaw by repealing the IPAB. This bill would instead protect seniors’ access to health care and encourage meaningful reforms to make Medicare sustainable. “I am thankful for Congressman Roe’s leadership on this issue and am proud to join my colleagues in voting to repeal this dangerous board,” said Collins. Rep. Phil Roe (R-Tenn.) introduced H.R. 849, and Collins co-sponsored the bill. 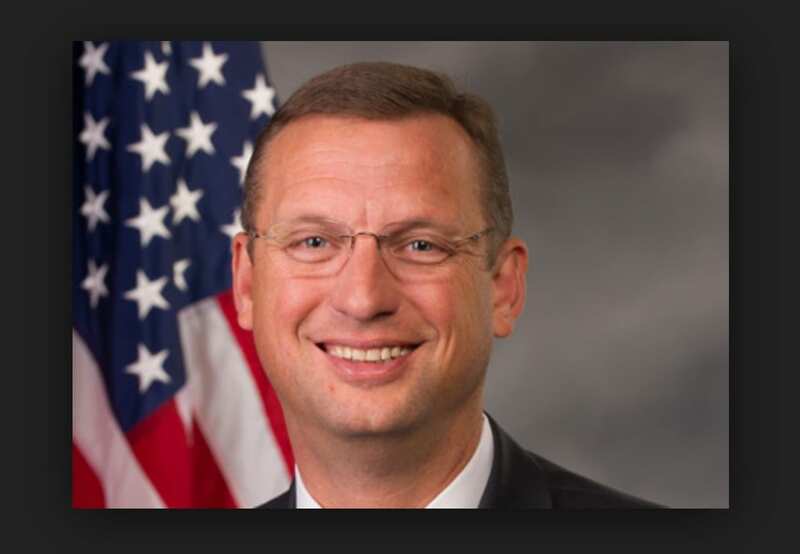 WASHINGTON—Congressman Doug Collins (R-Ga.) will attend President Donald Trump’s speech to the joint session of Congress with a guest from Toccoa, Georgia. Members of Congress each receive one guest ticket to the president’s annual speech. Congressman Collins has invited his constituent Brittany Ivey to the joint session. The working mother and her husband have struggled under the consequences of the Affordable Care Act. Ivey was working part-time at a small business that provided her family with health insurance until the effects of Obamacare on the insurance market raised her premiums sharply. This drove the Ivey family into the individual market, where a mid-level plan took 65% of her monthly gross income—even after a small federal subsidy. “There’s no better occasion than the president’s annual address to Congress to bring attention to the victims of the Affordable Care Act and the urgency of repealing Obamacare. Northeast Georgia is full of individuals who work tirelessly to care for their families, and Mrs. Ivey’s story illustrates the destruction wrought by the failed health care law,” said Collins. Ivey is relieved that members of Congress seem to understand her family’s plight, and she is eager to see substantive health care reform. “I’m grateful that Congress is taking action to fix our health care system. For the last several years, my family has experienced how Obamacare hurts hardworking, middle-class Americans. All I wanted was to be a stay-at-home mother to my daughter and sons, but the skyrocketing prices of health insurance drove me back into the labor market full-time,” explains Ivey. President Trump is scheduled to address members of the House of Representatives and the Senate at 9:00 p.m. on Tuesday, February 28.